Frankfurt is the smallest but most compact metropolis in the world; it has people from all over the world traveling in for business, the advantage of miraculous tranquility within a rush hour and the perks of offering its citizens an extravagant lifestyle. If you think of Frankfurt, the first three things that pop up in your mind are Goethe, Stock Exchange, and Book Fair. So if you ever think of taking a piece of the city back after you leave, a symbol with the image of those three will definitely be archetypal. Architecturally, Main River divides the city into two different fronts; the concrete modern skyscrapers that resemble a futuristic mindset are the reason why Frankfurt am Main is known as Manhattan, opposed to the carefully preserved remissness of the ancient buildings and houses that now serve as museums exhibiting rare collections of art, symbolizing the worth of tradition and values. Listed as the financial capital of Europe, Frankfurt features years of tradition in trading and the aftermath of this dynamic economy, it is now an international center for business and trade, home to the European Central Bank as well as one of the largest Stock Exchanges in the World. The fact that the third largest and busiest airport in the world happens to be in Frankfurt has helped to recognize expats as part of the Frankfurters daily routine, accepting and welcoming them in their city to do business. Not only business but also the fact that Frankfurt is ranked among the most livable metropolises has made people from all around the world come together and bring a piece of their culture in this urban diversion. Now, it seem like one of the three people you meet in the city is from a different part of the world; they have their own restaurants, speak their own language and neatly preserve the perks of their culture because in Frankfurt you can do this. Home to the great Goethe and the biggest Book Fair in the world, Frankfurt takes pride also in its rich and varied cultural attractions, numerous art and history museums, a fine taste in music, vibrant nightlife and excellent dining alternatives. Now, let not forget how Frankfurt can be rough: it hosts the craziest motor fairs in the region. Frankfurt does appear to be rather “too” urbanized at first, but once you start exploring you realize that a great percentage of its surrounding area is green and utterly nature-friendly, just like the rest of the country. Some of the best rated neighborhoods to be living in the city are Bornheim, filled with small cafés and creative shops its streets lined with trees, Westend, the ideal safe and quiet family district, Innenstad, the city center with all those shopping possibilities and Sachsenhausen, right across the Main river, away from the noise but close to the center. As mentioned earlier, there are a variety of reasons that anyone would choose to study in the magnificent location of Frankfurt. The town of Frankfurt is very easy to get to and from because of its central location. There is a spectrum of reasons that attract students to the Frankfurt area for study. 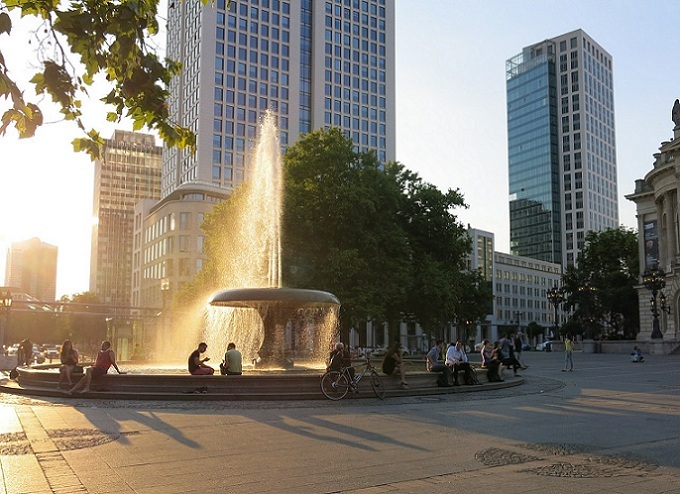 However, some of the most important benefits that come with studying in Frankfurt include getting to experience the beautiful landscape and scenery, studying with some of the most experienced professors in the world, and having the opportunity to meet new and intriguing people through the many interesting sites to see and events to experience. There are other elements of Frankfurt that make it a gorgeously unparalleled location; but for now, these are just a few of the most prominent. When you choose to study in Frankfurt, you are signing on to a lovely three-year experience in a breathtakingly beautiful location. The landscape in and around the city is truly beautiful with sprawling green mountains in the Tour of the Rhine, you can be amazed at any time. Alongside the captivating mountains and scenic elements of the Frankfurt area, there is also the aspect of the architecture in this city. You can observe expertly-crafted buildings throughout any and all parts of Germany, but none like what you will see in Frankfurt. You will get a one-of-a-kind experience in Frankfurt that will give you an excellent education in conjunction with an inspirational setting. 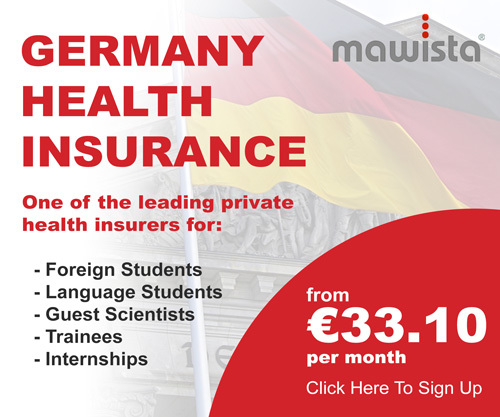 Another huge benefit of choosing to study in Frankfurt includes having the potential to study with some of the most advanced and experienced professors in the world. Obviously each institution has its own set of professors; however, like many other places in the world, the professors do guest speaking and guest lectures at other universities. There are a significant number of professors working in universities in Frankfurt who have worked hard their entire careers and earned Nobel prizes, among many other honours. Whether you are studying law, science, philosophy, history, chemistry, or an array of other subjects, you can have the opportunity to study with some of the greatest minds that have helped to shape these fields of study over the last century. On top of Frankfurt being an absolutely beautiful location for someone to choose to study, and having access to some of the most brilliant professors in the world, Frankfurt also offers a unique environment for building relationships. Frankfurt is a great place to build and maintain relationships with friends, and even prospective business associates. This is because of the many options of places to visit and spend your time. If you are more of a loner and you would rather sightsee and travel alone, it is safe enough to do so here. However, if you are more of a social butterfly, then there are tons of options of locations for you to visit to socialize and build your network. As previously stated, there are a variety of bars, cafés, restaurants, etc., for you to make new connections, either personal or professional. Frankfurt is not only city scrapers and currency flow: It’s also an educational metropolis presenting countless opportunities and genuine prosperity for those in search of a successful carrier and more than a good life. Nation wise, every road lead to Frankfurt. Internationally, Frankfurt Airport Lufthansa ranks amidst the busiest in the world receiving new passengers every second, passengers that once they’ve stepped foot in this city immediately become potential future citizens after falling in love with its vibe. No wonder that every third person in this metropolis speaks a different language and holds no German passport. The city has it all, the tall mind-blowing sky scrapers, the posh and contemporary restaurants and the most successful bankers and money makers. Yet, this lies only on the surface. Frankfurt tends to be the busiest city in Germany leading this quiet and settled lifestyle, no panic or mass hysteria. Frankfurters seem to mind their own business. To top it, the city is home to the Main River of the Main region and also it displays quite some hectares of greenery and forestry. Since you’re in skyscraper-town, it goes without saying that you mustn’t miss the view. The best and only way to that is through the restaurant in the 53d floor of the Main Tower in the restaurant called Manhattan on the Main. Despite all the sushi bars and exotic restaurants, don’t forget to try some of the local culinary specialties like ‘Handkäs mit Musik’. This spicy (yet delicious) dish is made from a special sour-tasting cheese combined with onions and caraway seeds. And if you like to be authentic all the way, wash it down with some apple wine. But be careful – this local cider is deceptively potent. Frankfurt is Germany’s jazz capital, largely thanks to the bar named Der Jazzkeller. Established in the 50s the bar hosted jazz legends and other big-timers like Frank Sinatra and Louis Armstrong. The city of Frankfurt has also the Eintracht one loathsome soccer team the Frankfurters fancy. The Eintracht club, the Frankfurters pride and joy – although maddeningly erratic does play in Germany’s top division, the Bundesliga which is always a plausible attraction. Among its most prominent alumni there are quite a few that got the Nobel Prize for their life deeds accounting for the quality of education and the freedom of expression. The University of Applied Sciences, Frankfurt am Main,(FRA-UAS) challenges its students to work hard for an academic degree with a clear practical purpose; immediately after you finish your studies you are bound to start practicing and sharing your skills. The University offers around 57 courses in 4 faculties: architecture and civil engineering, computer science and engineering, business and law, social work and health, making thus for one of the greatest applied science institutions in the country. 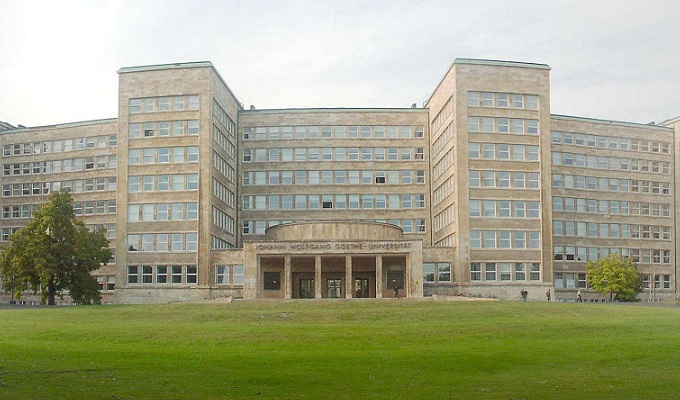 The University of Music and Performing Art in Frankfurt was found in 1938, it is the only institution of the sort on the region of Hesse and as such, it features around 900 students yearly to this day. University staff is highly professional and determined to hunt for exclusive talent: there are over 65 professors and 320 other assistance that together with their students make the magic happen. University curricula includes performance in all instruments and voice, the teaching of music, composition, conducting and church music. Also, there are courses in musical theater, drama and dance. After graduation student that seek an academic career can apply for a postgraduate degree in in musicology and the teaching of music. The Städelschule dating back over two centuries due to the excellence of Johann Friedrich Städel, a merchant that established such a community and left young artists communicate with its art collection. Now two very important institution derive from that area. The Stadel Museum and Stadel Schule an international academy that gathers experts and talents to join in the exploration of the ancient in the context of now. The exhibition space, Portikus has also been added to the school’s international reputation and since 1987 in this exhibiting space various eminent names from all part of the world exhibit their work and interchange their thoughts on such a challenging domain. The institution, takes lead in every field of business, management, banking and finance preparing its students to offer excellent consultant services, advising both giant companies as well as small or individual businesses to blossom, encouraging people to invest in order to gain and withdraw in order not to fail. Intellectually it challenges their students to think forward over different challenges in the business, finance and management world, and creatively find an ever changing solution. 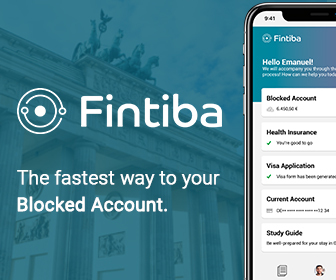 The way people spend their money varies solely on their preferences, so living in Frankfurt is no different than living in any other city in the region. If you are smart enough you spend what you have, and if you’re not you end up failing to get a degree. While you can perfectly survive on a few hundreds, you can always find places in Frankfurt where money goes pouring down the drain when you are not even looking. As a student it is very common not to be having that much money on your hands. Piece of advice, plan ahead so you can expect the outcome. Renting a private apartment is always more expensive than settling down in University dormitories, especially in Frankfurt center area. If you want to survive as a student in the Frankfurt economy dynamics you shall definitely share an apartment with flat mates. Monthly utilities for heat, gas, electricity and garbage come across 215 euros. An inexpensive meal somewhere in Frankfurt’s budget restaurants will cost you around 10 euros, meanwhile if you plan to take someone to dinner and impress them, put some 50 euros and more on the side. A glass of German Beer out cost 4 euros, while in the market you can buy it for less than a euro. Coffee, regular is around 3 euros. 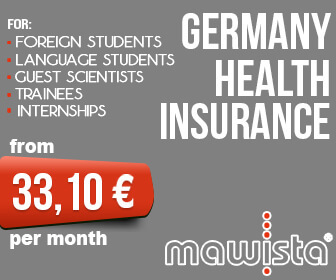 Monthly pass in order to use Public Transportation will cost somewhere around 80 euros and its mandatory, just as health insurance policy students have to purchase before even enrolling in a German University. Monthly fee for a Fitness Club is around 50 euros for those who work out, yet running is just as efficient and free. International movies in the cinema cost 9 euros per person, 3D movies a bit more expensive. Experience the sight of the city with wheels under your feet, go for the popular Tuesday night skating event. Frankfurt book fair, an experience not to be missed when living in Frankfurt. Oh, that smell of new books. Christmas Markets get so crowded, it almost reminds you of a family reunion back at home. Everyone is so friendly. Go on a shopping spree along the Schiller Passage.